The Conservation Area is on the site of the fortified medieval town and adjoining Ottoman Serail hill. Solidere took the lead in the restoration process, and affirmed that heritage buildings can survive and create value provided that they are adapted to the needs of contemporary life and business. Restoration has preserved its rich archeological and architectural heritage, historic monuments, public or religious buildings, while interiors has been modernized, with infill development reinforcing the scale of retained buildings. The area is particularly notable for its stone elevations. This vibrant ‘vieille ville’ accommodates a broad range of office, retail, recreational and cultural uses, in addition to important civic, religious and institutional activities. It is a real showcase of the city center reconstruction. and planted courtyards. Below, a cascading open space landscaped with new and old trees preserves city memory by integrating a basin with several fountains and an existing wall framing an ancient frieze, with part of it evoking the Lebanese artist Omar Onsi’s garden. Facing the Serail entrance is a sloping open space being landscaped as Rafic Hariri Garden with the statue of the late prime minister. and sixties, with landmarks also including the Post Office building. Behind its western façade, the Roman Baths aromatic garden forms part of an open space developed around the restored ancient baths. The 1930s Nejmeh area was inspired by Place de l'Etoile in Paris. Among its radial streets is the arcaded, pedestrian Maarad Street. Young and old meet in Nejmeh Square, marked by its clock tower designed by Mardiros Altounian. The historic St George Greek-Orthodox and St Elie Greek-Catholic cathedrals, the Parliament House and the deputies' new office building complete the square. An early 20th-century eclectic architecture combines classical and Islamic revivalism with Art Nouveau and Art Deco. Together with businesses, banks and professional offices, the area is especially vibrant with shops, art and handicrafts galleries, and a large choice of sidewalk cafés, restaurants, bars and clubs. Enclosed by four arteries, Foch-Allenby has pedestrian internal streets. Its architecture reflects an early 20th-century European eclectic style. The frontages exhibit a rich variety of details and stone ornamentation: arches, cornices, portals, friezes and inscriptions. On Foch Street is Abou Bakr (Dabbagha) mosque. 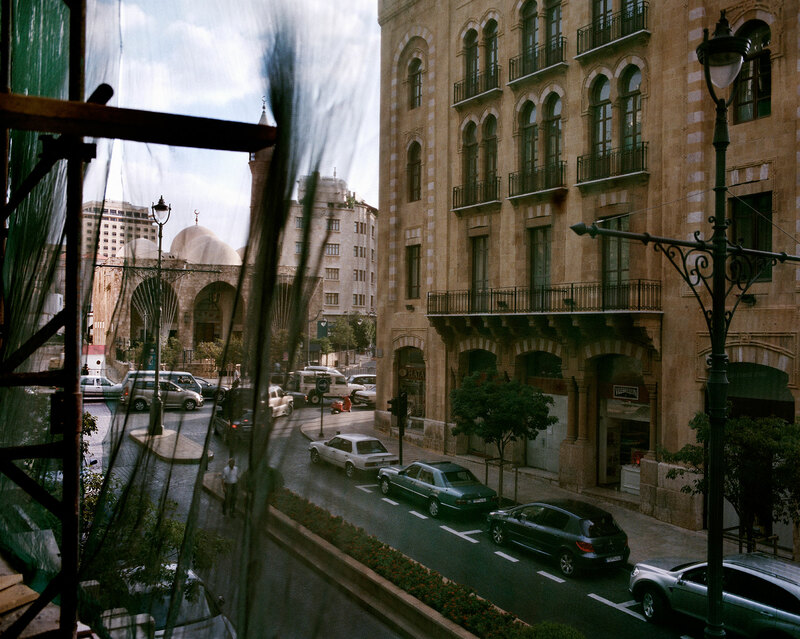 On Weygand Street are the historic Al Omari and Amir Assaf mosques and the Municipality of Beirut building designed by Youssef Aftimos. A landscaped open space forms a link between these monuments. Samir Kassir garden with a pool, featuring a wooden deck with a long stone bench, provides a pleasant and tranquil resting place under two old Ficus trees. In addition to businesses, banks and professional services, the area is rich with shops, fashion boutiques, department stores, restaurants and sidewalk cafés.